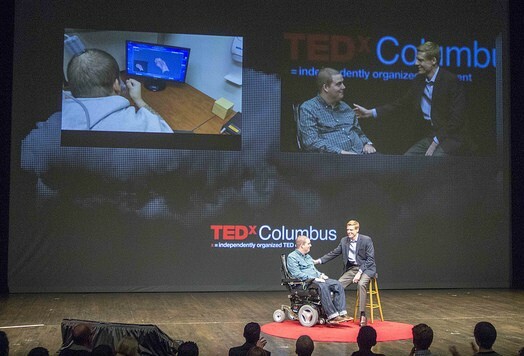 As you prepare for Friday’s TEDxColumbus: STEAM at the Capitol Theater, 77 South High Street, here are some specifics you will need to make it a spectacular day. 5:30 pm – Program Ends, Happy Hour! We are encouraging everyone who has purchased a ticket to pre-register by filling out this form with your name and email. Because CAPA/Ticketmaster could only capture the “purchaser” names – we don’t have everyone’s participants names. If you don’t pre-register, it’s okay, we can take care of you when you arrive. (If you have purchased for a group, you may send us a list to tedxcolumbus@gmail.com). DEADLINE for pre-registration is Wednesday at 6pm. If you don’t pre-register, not to worry, we can register you at the door (just please be patient). 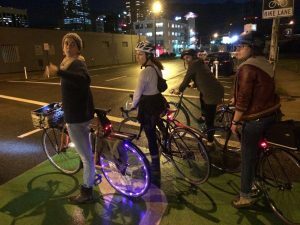 Please consider using COTA, Car2Go or CoGo first! If you are driving, we encourage parking at Columbus Commons. Everything within immediate proximity to the Riffe Center will be full. 1. Curious and open. The speakers are coming prepared to provoke, it is your role to let them! 2. Willing to meet a stranger – or two. And have some amazing conversations. 3. By noon for lunch. (Options for all dietary types and preferences – Vegan, GF, Carnivore). If you don’t want to have lunch, make sure to arrive by 12:45pm when the doors open for seating. All seats are general admission. We will begin very promptly at 1pm. 4. In comfortable clothes (seriously, jeans are encouraged). 5. With a creative name tag! Of course we’ll have name tags for everyone – but judges will be roaming the breaks looking for creative expressions that you made with your own hands – and awarding drink tickets for ones they love. (Check out the 2011 archive for inspiration). It is an awesome way to spark conversation, trust us. If you want some reading preparation. Take a look at the speakers’ profiles. It will help you understand their license to share their ideas. If you have seen a TED / TEDx talk, you know there isn’t any reviewing of biographies inside a talk – and we don’t do it in their live introductions either. If you want to read more about the TEDx experience, here are some TEDxColumbus Follow This blog posts about who you might meet, why people came last year (with event reflections) and if this is your first time, some history on the origin of the event. If you know someone that wanted to attend but can’t since we are sold out. Please encourage them to attend the free Livestream viewing event at McConnell Arts Center in Worthington. No registration is necessary. 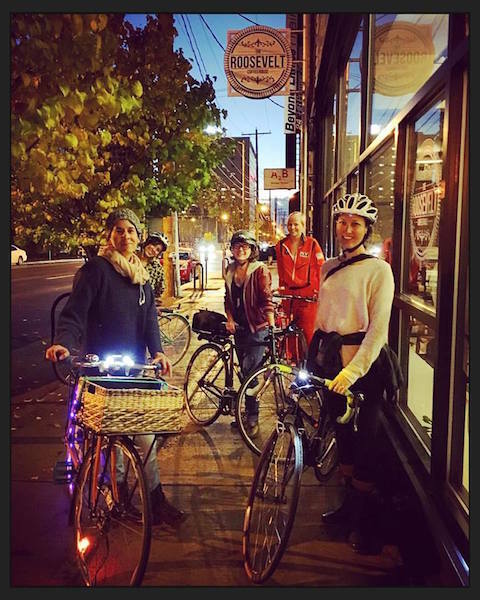 What you can do after TEDxColumbus. 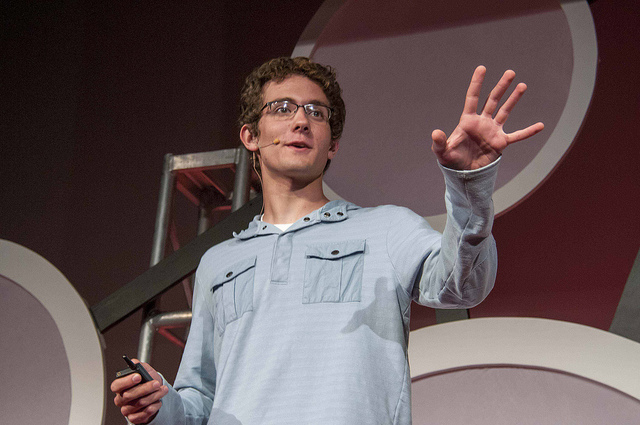 On Saturday, November 8th from 9am – noon, tune into TEDxYouth@Columbus. This partner event will be live streamed from COSI featuring ideas worth spreading from local High School speakers. We will send you a link to a very important evaluation. Please take the 5 minutes to fill it out and be totally honest. Many of the changes we made to this year’s event came from those evals last year. The talks should be posted by Thanksgiving (no promises, but that’s our goal). We encourage you to share those ideas that provoked you. All of the photos from the day will be posted to our Flickr account, which also is an archive of the past five year’s events. If you want to be involved in any future TEDxColumbus or TEDxColumbusWomen planning, please email us tedxcolumbus@gmail.com. And we love to partner with other TEDx programs at schools, universities, corporations and of course, prisons! The more good ideas we can spread, the better. See you Friday! As always, let us know if you have questions – tedxcolumbus@gmail.com. A dollar may not get you a lot, but five of them will get you into a group video chat with America’s favorite zookeeper Jack Hanna, and the chance to be one of eight to speak with Hanna face-to-face. It will also make you an instant philanthropist, as four of your dollars will go straight to Hanna’s charity of choice—The Wilds. The chat (April 9th: get your tickets soon) is one of many “memorable conversations” for “meaningful causes” from Heroes2U, a new social enterprise that connects inspirational people with their followers to raise money for charity. Hanna is the latest hero. TEDxColumbus speaker Decker Moss was the first. Future heroes include country music star Phil Vassar, NFLers Kurt Coleman and John Hughes, as well as two wildlife conservationists (who with Hanna form a kind of Earth Day trilogy). 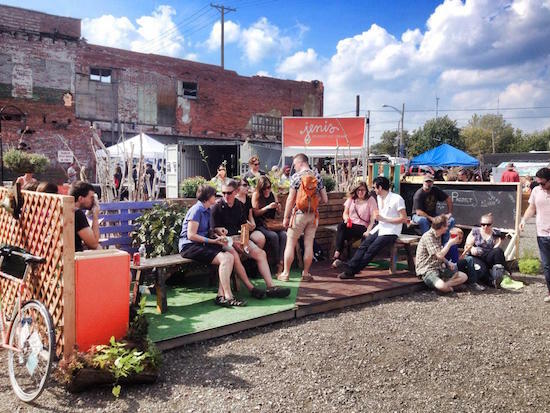 The project is the brainchild of two Columbus twenty-somethings, John Weiler and Jeremy Meizlish, who developed the idea while still undergrads. 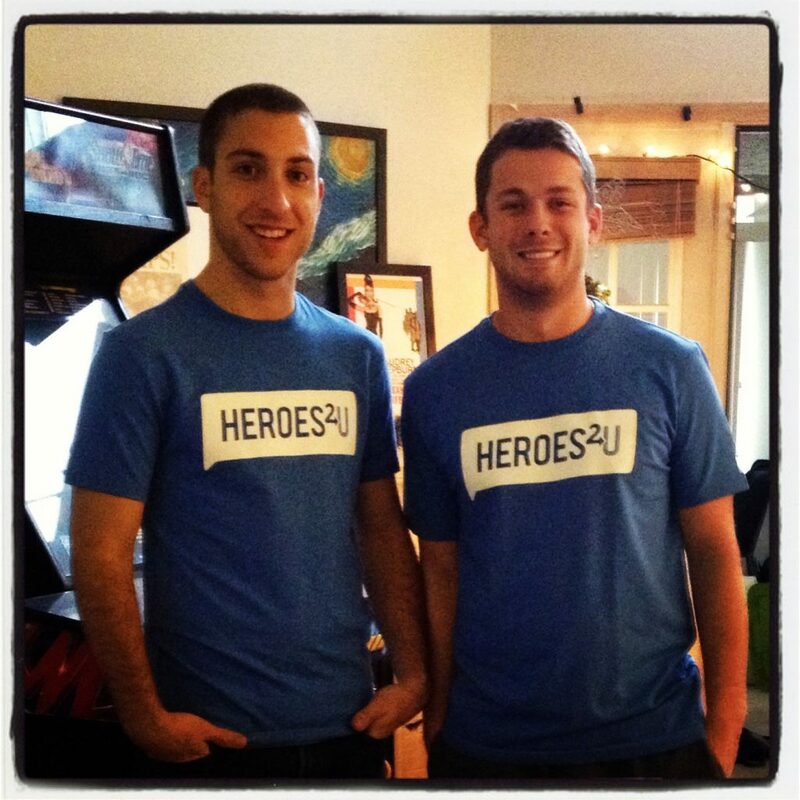 After a seed investment last June from the Tony R. Wells Foundation, Heroes2U hosted its first beta chat in October, one day after TEDxColumbus (along with Moss, speaker Scott Gaudi was also an early hero). The website launched mid-February. It’s where you’ll find videos of past chats and all the need-to-knows regarding webcams, tickets, etc. Millennials are the target audience for Heroes2U. Not your typical gala-goers, it’s a group that charitable outreach tends to reach right over. Quoting research, John Weiler says that millennials give at a price point of 1 to 100 dollars, and they give on-line. “Our generation is a largely untapped force for philanthropy,” he says. As a kind of gateway to giving, Heroes2U breaks down this barrier between young people and philanthropy. It also breaks through the assumption that Gen-Yers are more into instant gratification than generosity. Not surprisingly, barrier-breaking is a favorite pastime of John and Jeremy. It’s the subject of their own 2012 TEDxYouth@Columbus Talk, where the first barrier to go is the label Generation Y. 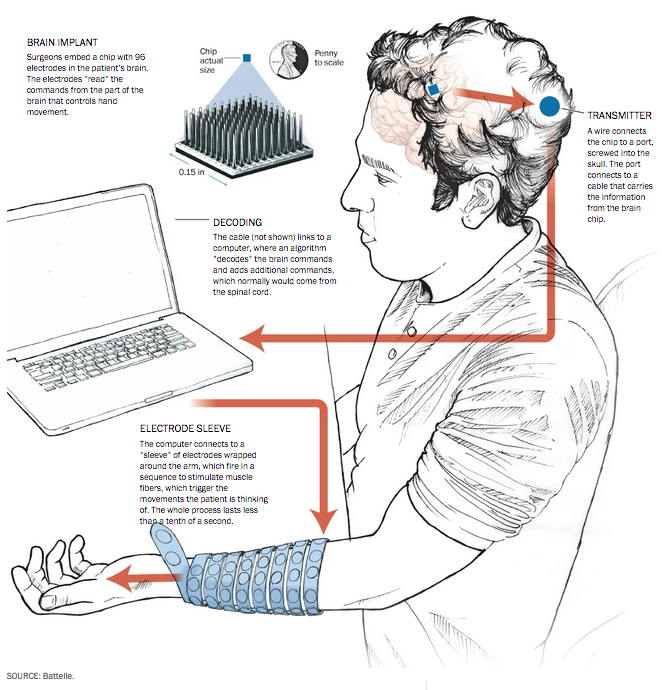 They rename it Generation Y Not, turning implied judgments of “lazy, entitled, un-experienced and uneducated” into possibility—because, as they see it, techno-savvy Generation Y Not has a huge possibility advantage. And how exactly do they get these heroes? So far, by making and utilizing every single connection they can. But once they have an in, Heroes2U is an easy sell: 30 minutes, the hero chooses where, when and which charity. Plus, most speakers say the best part of any event is the Q&A. Getting the word out, both to heroes and participants, is still their biggest job right now. For both Jeremy and John it’s full-time and unpaid. They have one paid employee—a web developer—but as owners they made a decision that they‘ll get paid when they have “completed their mission” and not before. In the meantime, “it’s a really cool journey,” says John. “Until I saw our local charities, up-close” he says, “I didn’t fully grasp the giving community we have here—it’s very inspirational.” Also, while he and Jeremy hoped that the distance of a video chat would not lessen the quality of interactions, they weren’t entirely sure. But after one “chatter” teared-up and the hero offered a virtual hug, they both knew that facilitating meaningful connections was not going to be a problem. They have some details to work out, such as achieving their goal of fundraising (helped along by big famous names) while also still being able to share the powerful stories of lesser-known heroes. Post-launch, their commitment remains strong. In fact, they recently had an experience that all but confirmed their mission. A few months back, they shelled out $150 each, put on their best suits, and went to a black-tie fundraiser. Their thinking was: since the inaccessibility of traditional charity events, such as galas, is part of their pitch, they ought to at least attend one. The honored guest that night was basketball star Shaquille O’Neal. On stage, Shaq told a room-silencing story about how, as a kid, everyone expected him to be a bully, so he was. But one day his bullying caused a boy to seizure, and right then he made a very emotional decision that he didn’t want to be a bully, and he wasn’t going to be. The MC that night, newscaster Jerry Revish, commented that more young people needed to hear this story … and in the audience, two people, John and Jeremy—the youngest in the room that night by far—couldn’t agree more. Sold out in one day. Attendance up five-fold. 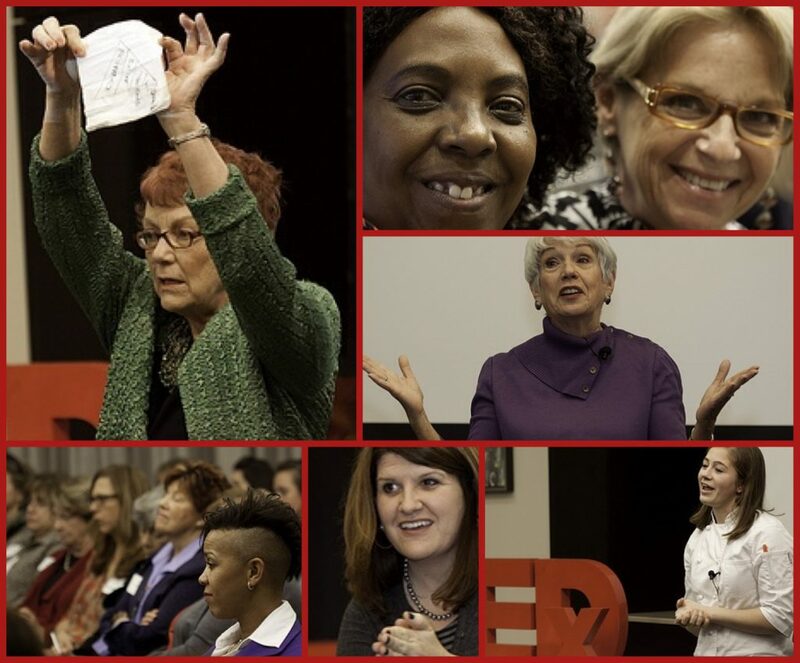 All the sudden, TEDxColumbusWomen is a rock star. 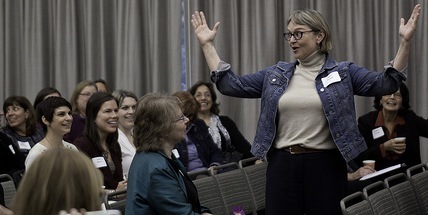 In its fourth year, the live-stream of the annual TEDWomen conference added something new: five talks from local speakers—which might explain the sudden surge in interest, except it was announced after the last ticket sold. Or, to begin with general info and impressions, simply read on. 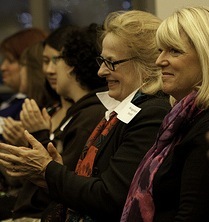 TEDxColumbusWomen was held on December 5th at the Columbus Foundation. 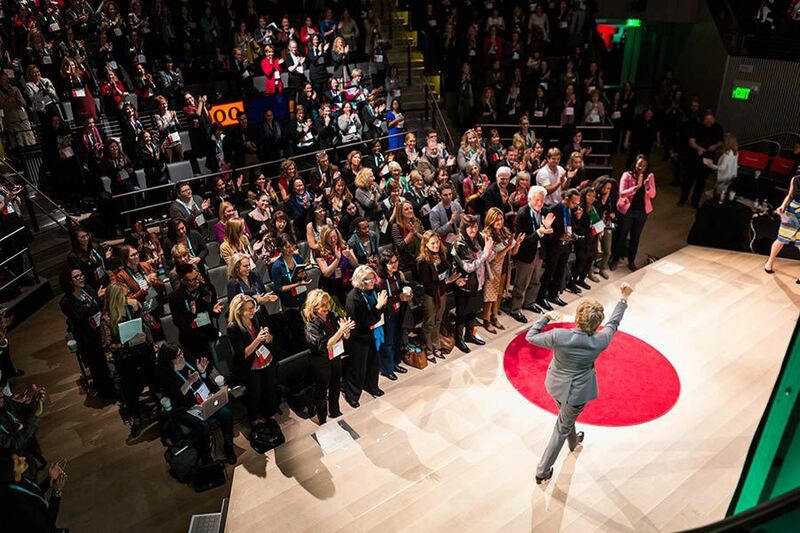 TEDWomen 2013: Invented Here streamed from San Francisco—the title, in part, an acknowledgement of the host city. 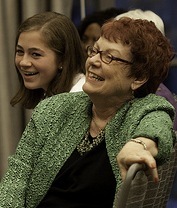 The first set of TEDWomen talks (Session I: To Be Is To Do) took the most literal approach to the Invented Here theme, rolling out one innovative product after another: an energy-generating soccer ball, an affordable artificial knee, a preemie incubator for home use, a smarter spacesuit, and more. Ideally, content should stand on its own, and when that content is literally bouncing (soccer ball) or walking (spacesuit) on the stage in front of you, this ideal seems almost possible. But, as both neuroscience and social science tell us, to veil identity (gender or otherwise) is not so easy, nor is it always helpful. Plus, to gloss over the subject would make TEDWomen less interesting. The event had me constantly thinking about gender. It’s kind of the point of it, even as gender was rarely the actual topic of a talk. Beyond sharing hidden histories and the great breadth and diversity of women’s work, accomplishments and insights, the event brings gender into focus in other ways. Krista Donaldson designs products for people living on less than $4 a day. Jessica Matthews delights in other people’s hacks to her products. User-focus is in no way gender-specific, yet there was something different in how speakers, repeatedly, put the user at center stage. And when speaker Jane Chen called her life-saving scientific invention “technology powered by love,” I wondered would she say it exactly like that at a technology conference or at Big TED? And if she did, would it come out just as easily and just as heartfelt? Maybe, but that I had the question at all is what I mean when I say gender was on my mind. 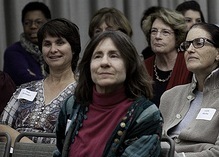 Also, not every event takes note of its male audience members. This one did. And the irritating buzz that accompanied the first few talks couldn’t help but make me aware of gender. TEDWomen is one of TED’s three annual conferences, and I’ve never seen serious technical glitches like that at livestreams of TED or TEDGlobal. Dame Stephanie “Steve” Shirley who fell ill, so instead was spoken about by Google VP Megan Smith, who also shared part of a documentary about this early programmer. For me, this talk was a bargain: I went from utterly ignorant about women in technology to somewhat knowledgeable in just ten minutes. Did you know that the first programmer was a woman? I didn’t. Far more shocking, Megan Smith didn’t either. Maya Penn because she is creative, generous, industrious and only thirteen. Diana Nyad because she is riveting and her presence is commanding. Plus, there’s the deadly box jellyfish and hallucinations of the Taj Majal. 1. In her talk, Celia Crossley shares her rather circuitous route to her career as a career strategist helping others route or create their own careers. Her big point: by all means, Lean In, if you can, but know that there is another path to job satisfaction, personal fulfillment, and economic viability: Leaning Out. 2. Her country, her community, and her comfortable day-to-day life suddenly collapsed. As a Tutsi married to a Hutu, her family collapsed. As a person who was loved and suddenly deemed an outcast, her identity collapsed. After the genocide in her home country, Norah Bagirinka did not feel human and did not think she would ever feel human again. Her humanity fully restored and thriving, she shares her story, her current work with Rwanda Women In Action and her insights into what it takes to create a bridge to a new life. 3. 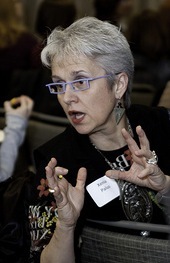 Barbara Allen can work a room. That’s one reason to watch this video. 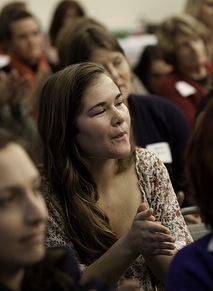 Another is to learn about the improv mantra: Yes… And…. Currently in vogue as a work organization tool, the concept may not be new, but Allen’s wholesome and big-hearted delivery is. 4. Gabrielle Smith is a teenager entrepreneur. She’ll graduate high school this summer, almost three years after she launched her small business. 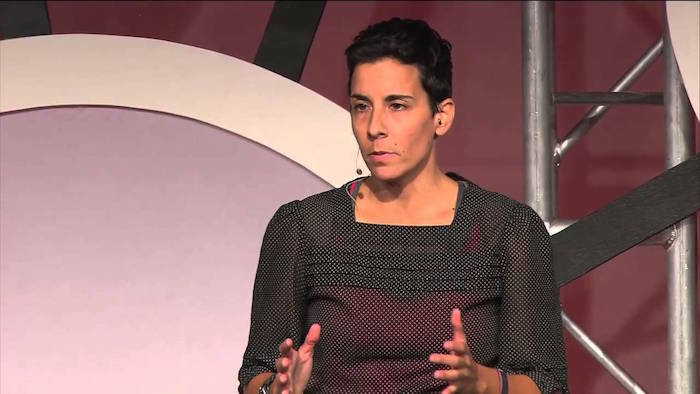 Her talk shares what can happen when a maker takes her passion seriously. 5. JoDee Davis works with people that you, most likely, do everything you can to avoid. It’s okay, says Davis, she once tried to avoid these people, too. But an experience changed her. On one level, her talk is an interesting story about meeting success time and time again and struggling to understand why (with help, she eventually does). On another level, her talk is a powerful story that has a strong potential to shift your understanding. And I’ll leave it at that. You won’t find the village of Piol on Google Earth. You’ll find it by dirt road. That is, if the weather is dry. If not, you’ll wait in Bor a day, maybe more, until the road is clear. 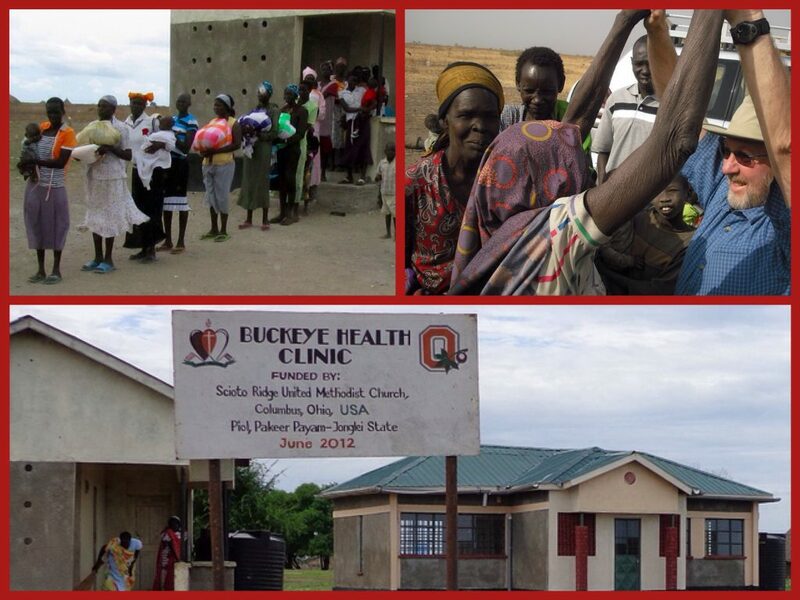 Then, it’s another sixty miles across South Sudan’s Jonglei state, but you will find Piol and, there, you’ll find something oddly familiar: The iconic Block O; a building called Buckeye Clinic; perhaps even a few villagers wearing their scarlet and gray. 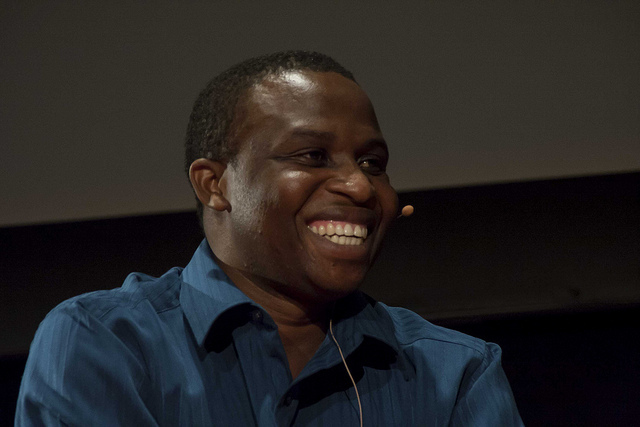 If you happen to recognize Piol as the home village of TEDxColumbus speaker Bol Aweng, you already have some idea of just how much he has accomplished since his 2010 talk. 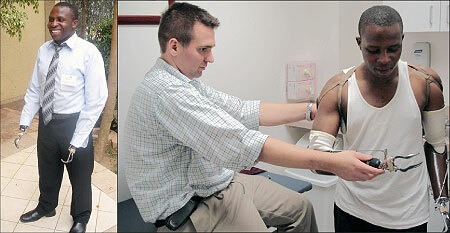 Back then a working medical clinic in his South Sudan village was just an idea. Three years and a little more than $200,000 later, the Buckeye Clinic is a functioning healthcare facility with a vaccination program, maternity ward and staff of five. It’s a huge change: Previous healthcare in Piol amounted to a table under a tree and one man with enough fluency in English to read labels and hand out medicine. And, it’s made a huge difference: According to the latest count (2009), in this part of the world only 1 in 5 children survives past the age of five. But in Piol, the clinic has inoculated over 500 children from potentially fatal but preventable diseases. “Now 5 out of 5 children may live to age 5,” says Aweng, and parents who before did not dare to dream because, as he says, “my child may be taken away,” now have hopes for their children and are even making plans for their future. While there’s more to do and more money to raise, clearly Bol Aweng has achieved the goal he shared in 2010 to help his family, his village and south Sudan. And all of this he does while holding down a full-time job (second shift) at a Walmart distribution center, and also managing all the demands and joys of life as a new husband and father. That’s another change since taking the stage at TEDxColumbus: Bol Aweng is married and he has a young daughter named Kiki. He and his wife Ajiel first met as youths in the Kenyan refugee camps. Though it took a year-plus, immigration-induced wait before Ajiel and Kiki could join him in the US, the family of three is together in Columbus. Very soon they will be a family of four—a baby boy is due any day now. To those familiar with his story, this will all come as particularly welcome news. Bol Aweng, like his friend Jok Dau, is one of the 35,000 Lost Boys of Sudan and one of less than half that number to survive. To hear his story (best told by him, here) is to wish for him not just success, but the most basic personal happiness; to wish, in fact, for every kind of happiness there is—for him, his family and for all the lost boys and girls of Sudan. Though we don’t hear as much about them, girls were also traumatized, displaced, killed or orphaned during the long civil war. After 20 years of separation, Bol Aweng was able to reunite with his family, but his younger sister Nyankiir remained missing. She had been abducted in 1991 when she was only four years old. “We feared she was not alive, but held out hope,” says Aweng. In the spring of this year, word spread to Piol of a woman in the far eastern part of Jonglei who was believed to look like Nyankiir. When travel was possible—and the limitations on this cannot be overstated: there are only 80 miles of paved road in the country; zero in Jonglei state; rains can quickly make dirt roads impassable; and bandits can make any road unsafe—Bol Aweng’s father, accompanied by the village chief, went to meet her. Nyankiir has a husband and two children. She no longer speaks her native Dinka, so the family must communicate through an interpreter. Bol was able to talk to her on the phone, and she is expected to visit Piol at Christmas this year and reunite with the rest of the family. What she remembers and what she experienced is still a story to unfold. But whatever the past or the future, the happiness to have found her, says Bol, is beyond words. 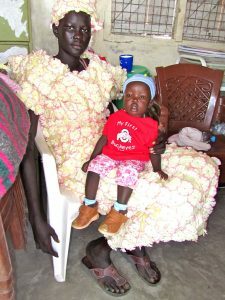 When Nyankiir does come to Piol she will see the Buckeye Clinic, perhaps even her children will benefit from its inoculation program, as the children of her and Bol’s other siblings have. 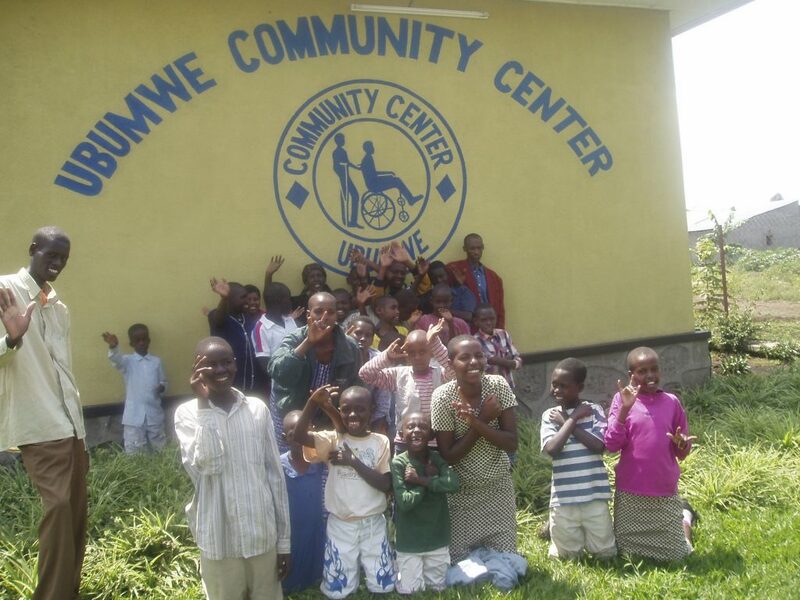 Along with vaccinations, the clinic also offers health education and basic primary health care services. Birth services, and a maternity ward for those experiencing complications, as well as, emergency transportation and medical training are planned for the near future. Funding for these services, as well as construction, utilities and personnel, comes almost entirely from the people of Columbus, Ohio. You may not know this, but there is a blue lion in Piol. Also a golden bear and a wolf with a blue paw print. You’ll find them in and around the clinic and on the catchment system providing clean water to the village, each one marking the fundraising efforts of Columbus-area schools. Steve Walker, long-time friend and mentor to both Bol Aweng and Jok Dau and also a major force behind the clinic project, reports that the next crucial steps are to hire a full-time midwife and nurse, and to raise more money for operating costs. The project is about $80,000 shy of the $300,000 goal that will fund the clinic for three years, after which it is expected to be sustained by the primary health care plan developed by the new—as well as the first and the only—government of South Sudan. 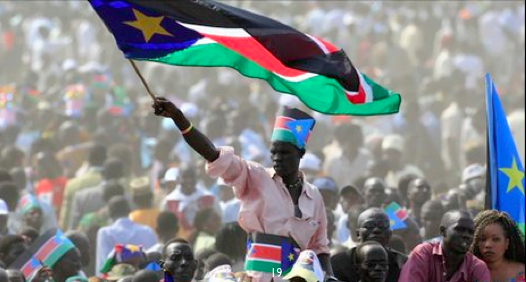 On July 9, 2011, after a nearly unanimous vote (98.9%), The Republic of South Sudan officially became an independent state. It is an exciting and much-welcome development, says Aweng, but the world’s youngest country is “still struggling a lot,” he says. While there is no shortage of outside interest in oil, Aweng also welcomes investment in agriculture, business, transportation, healthcare, security and, more than anything, education. Building the clinic at the same time the country is building itself brings with it a unique set of challenges. Imagine that between interviewing and hiring, the country enacts a social security plan. Suddenly there are more rules, regulations and costs to figure out. But, quite unexpectedly, the project now has more help on the ground. Last April, Steve Walker travelled to Piol with Jok Dau, who, as a lost boy also from Piol, has, in broad strokes, a story similar to Bol Aweng’s. Dau, in fact, was scheduled to speak with Aweng at TEDxColumbus, but was unable to get the day off work. In April, when he and Walker flew to Africa, Dau was in a much better job at the US Citizenship & Immigration Services (USCIS) and, just one year earlier, had travelled to South Sudan to marry Abol, his fiancé. 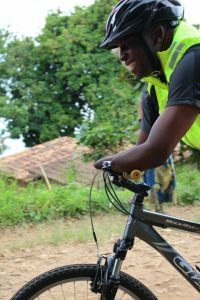 This time, after two weeks working with the community in Piol and meeting with various government officials, Walker flew home, while Dau was to stay on three more weeks to help expedite his wife’s visa application and to visit with his new in-laws. Recovery took months, but today both are healthy. Dau recently took a job training government staff in taxation and capacity building, and he continues to assist with the Buckeye Clinic. Turns out that having him “on the ground” has been an invaluable resource, says Walker. UPDATE: 12-8-13: Baby Aweng has arrived! At 8 pounds, baby is in good health. So is mom. UPDATE 1-3-14: On December 15th, a political dispute escalated into an open conflict that has killed 1,000 people and displaced nearly 200,000. Fighting first erupted in Juba, then on December 25th rebels attacked Bor, the majority-Dinka capitol of Jonglei State that is about 60 miles south of Piol. Steve Walker was able to talk to Jok Dau by phone on December 27th. He reports that Jok was evacuated to Nairobi by air by the US State Dept. His wife Adol, who had been in Juba for a medical appointment, fled by car to Kampala, Uganda. She made it to the border town Nimule, but for unknown reasons was unable to cross into Uganda. Jok says she is safe there with many other refugees also fleeing Juba. Adol was seeking medical care in Juba because, in news Jok was happy to share, she is pregnant. When Bor was attacked, civilians either sought safety at the UN headquarters (as Bol Aweng’s sister did) or fled to their home villages. Bol says that over 1,000 fled to Piol, where they are without food or shelter. There is no food in the village and everything in the nearest towns has been looted by the rebels. Both Steve and Bol have been trying to get in touch with the staff at the clinic, but the phone network has been down for weeks. Today (1-3-14) the US government announced a further reduction in embassy staff. So far one American death has been reported (though not officially confirmed): a former “Lost Boy” who had returned to prepare for his wedding. Also today, official talks between the government and rebel forces (led by former Vice President Machar) begin in Ethiopia. Previously, the African Union has said it would “take further measures if hostilities did not cease” in four days from today. It remains unclear what those measures might be. UPDATE 3-10-14: After two months with no word from his home village, Bol was finally able to talk to a Buckeye Clinic staff member on February 12. He learned that most families in Piol had fled to the swampy land on the Nile, including Bol’s family. The Buckeye Clinic remained and remains open. The village chief and clinic staff stayed behind. A cease-fire agreement was signed on January 23, 2014. Though there is still insecurity in the country. There were reports of renewed fighting in late February in Malakal in the Upper Nile region, north of Piol and close to the Sudan border, and a brief clash in Juba on March 5th. The UN, which publishes a weekly update on the crisis, reports that since Dec 15th over 900,000 have been displaced from their homes. Photos courtesy of southsudanclinic.org, except independence celebration courtesy os Reuters.